An ideal choice for the edible landscape, Carnivale Cayenne Hot Pepper Blend produces long, slender peppers that ripen in a rainbow of shades including purple, green, red and yellow. The 4-7 in. fruits have classic cayenne flavor and are great for seasoning and grinding into powder. Cayenne peppers are considered a medium hot pepper, rating 3500-5000 Scovilles. Pepper plants can be grown in a sunny spot in the garden or in containers, including our Grow Tubs™. 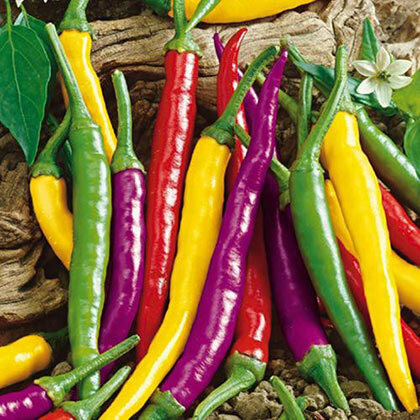 The colorful peppers give this blend highly ornamental qualities. 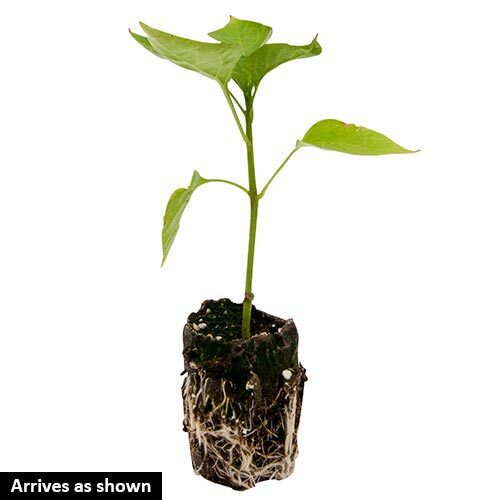 Plant pepper seeds indoors about 6-8 weeks before the last spring frost. 75 DAYS. Spacing18 - 24 inches between plants, 24 - 36 inches between rows. Fruit4- 7 inch long fruits with classic cayenne flavor. Matures to red, purple and yellow. Soil RequirementsRich, well, drained soil. CommentsStrong upright plants with a concentrated set of fruit. Medium heat 3500 - 5000 scovilles. This Cayenne blend is as beautiful as it is tasty. Yield100 lbs. / 100 ft. row. DepthPlant the seeds 1/2 inch deep. Start seeds indoors 6 - 8 weeks before the last frost date. The plants should be planted the same depth as in the pots.